The story this week was big upsets, both with teams falling from the ranks of the undefeated and teams rising to the occasion against expectations. So let’s start in that vein, and with a little “howdy do” to our newest BFFs from the Iowa State contingency, who turned the tables on a Texas Tech team coming off a huge upset on their own. And it wasn’t just a “win” against the #20 Red Raiders, but a 41-7 demolition of Tommy Tuberville’s squadron… must have been a bit presumptuous to start the “Mike Leach Who?” talk, huh? No wonder the folks in Lubbock were chippy. Today, we join with racing fans in mourning the loss of Indianapolis 500 champion Dan Wheldon. As such, this week’s soundtrack has a bit of a somber tone. We give ESPN/ABC a lot of criticism, but they got this one right- Thoughts and prayers with his family and friends. When Clemson and Maryland met, the undefeated Tigers should have known that something was swirling that could have put a blemish on their dream season. For starters, the Terrapins chose a uniform that didn’t look like a condiment tray this week, choosing instead the “Fancy Hot Sauce” look. Maryland opened up an eighteen point lead in the second quarter on the Tigers, and nothing in the Michelle Obama playbook was working at all. Then, Sammy Watkins happened, all 345 total yards of his offense, including a special teams play that turned the tide for good. It’s finally here… the first SBP of the 2011 season. No more preseason talk, no more countdowns- it’s time to squeeze the trigger. Let’s do this. 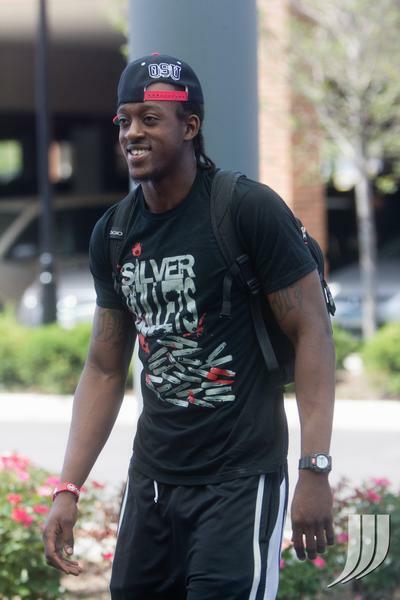 Injury update- Word is that the Buckeyes are healthy, with the exception of Jamaal Berry (nursing a hamstring). Tyler Moeller and Etienne Sabino have been practicing at full strength, and are part of the lineup for Saturday. ﻿The Radio Hour continues it’s preseason look at the 2011 Ohio State Buckeyes! Eric, Jim and Joe discuss what we’ve been seeing from the Buckeyes in practice so far, most particularly the players who are getting the most time at the “starting spots”. They also discuss the wildly popular topic of longsnappers, particularly former podcast guest Jake McQuaid – now a member of the St. Louis Rams – and, of course, the heir to the OSU throne Bryce Haynes. The trio also takes a moment to ponder a new aspect to the ludicrous nature of ESPN’s reporting, and how it effects Luke Fickell. Get pumped, because the season is getting closer! Also, make sure to subscribe on iTunes so that you’ll be up to date with the latest from our writers and guests.